In association with DHD Cooling we have introduced the new British engineered deployment system, with both manual and automatic activation. Manually the user simply uses the chain driven roller to raise and lower the screen. The GBR motor driven roller can be used to automate the system. Protection from weather events such as high winds and low temperatures can use the GBR Weather Station set for wind velocity, temeprature and even time to ensure these valuable assets are fully protected. 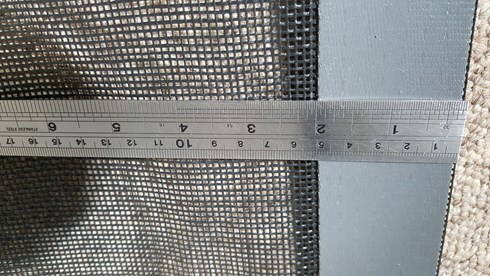 The RABScreen is also available with a 50mm wide border for extra heavy duty applications although in most commercial HVAC applications the standard 32mm border is all that you need. 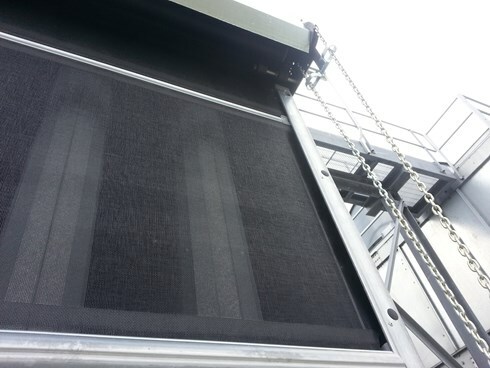 With multiple mounting options and British engineered air solutions the RABScreen is proud to be associated with GBR and DHD Cooling.